When seasoned Divas, Chaka, Patti and Vanessa invite you to the table to give you the P & Q’s of being a Diva. You listen and you eat pie! The opening scene to the Christmas concert aired on VH1’s Unsilent Night. The mini concert featured; Patti LaBelle, Vanessa Williams, Chaka Khan, Mariah Carey, Remy Ma, Teyana Taylor, Diana Gordon, Bebe Rexha, and Jo-Jo. The 1-hour segment provided much entertainment with behind the scenes of how our famed celebrity Divas spend their holidays, some of their favorite eats and what the season meant for them. 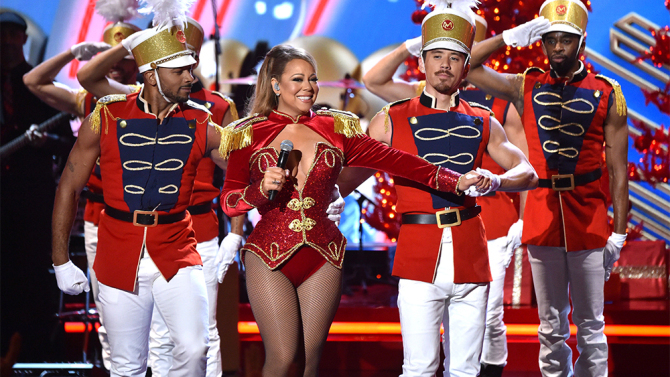 Mariah Carey opened with her Christmas song “All I Want for Christmas’ followed by up and coming divas, Bebe Rexha, Diana Gordon and Jo-Jo. Remy Ma brought hip-hop to Santaland and Teyana Taylor performed a sultry rendition of Santa Baby and gave an intimate glimpse into her festive home with her family. Auntie Patti, serenaded with “When You’ve Been Blessed’, stirring the soul reminding us the reason for the season. “When you’ve been blessed, it’s like Heaven…pass it on…pass it on.” Vanessa Williams, performed, “Saved the Best for Last” and followed by “What Child is This” an all-time favorite Christmas single. The show ended with Chaka Khan bringing down the house with “Ain’t Nobody” and a duet with Patti LaBelle singing Aretha Franklin’s “Natural Woman” ending with the ladies joining the duo singing the ultimate Diva’s anthem, “I’m Every Woman.” A great concert to spread holiday joy.